With convenient locations in Jericho and Rockville Centre, Frank’s Steaks is a refined, yet casual Long Island steakhouse with an authentic New York City feel. Our Long Island steakhouses are primarily known for signature items like our legendary Romanian Skirt Steak, 44 oz. Porterhouse and Roasted Country Chicken. We also offer a wide variety of masterfully-crafted seafood, pasta and chicken dishes made from fresh ingredients hand-selected by our elite culinary staff. Whatever you order, don’t forget to add one of our legendary side dishes, like Creamed Spinach or our Famous Mashed Potatoes topped with sautéed onions. No meal is complete at this Long Island steakhouse without trying a huge, homemade dessert.  Whether you need a place for a delicious meal or just somewhere to host an event, Frank’s Steaks is the ideal place for you. Call or contact either our Jericho or Rockville Centre location today to reserve a table or book a room for any type of party. “This is the third time I have been to Frank's in the past couple of months. “Thanks for a great Anniversary dinner! My filet with bone was amazing and did not need any appetizer! Loved my creamed Spinach and baked potato!